Recorded live in Cabri, Saskatchewan, Reid spends an evening at bird camp speaking with Dave Brown of Dave Brown Outfitters. The two discuss the day they spent afield for Hungarian partridge and sharptail grouse, and Dave describes the nuances and history of hunting the region. A bit on guns, a bit on birds, and the sound of a few restless bird dogs underfoot. Enjoy! 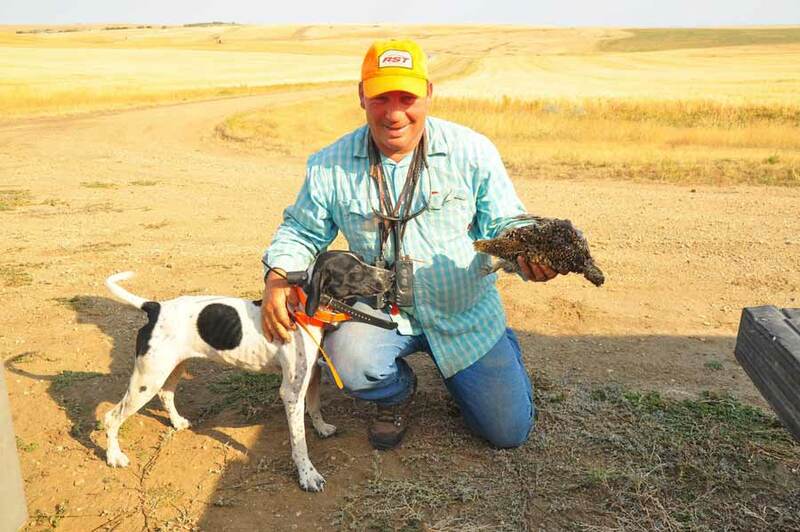 Dave Brown shares a successful hunt with his dog.